A team of researchers, led by Professor Jaesung Jang of Mechanical and Nuclear Engineering at UNIST has developed a new technology to catch viruses in the air. This technology is capable of detecting dangerous virus particles like MERS and will contribute greatly to healthcare research. In general, bioaerosols, which contain viruses and bacteria in the air, are collected using ‘inertial collisions’ of particles. It is a principle of colliding particles that have obtained a large momentum when sucking in air with a strong pressure difference to a solid or liquid surface. The collected virus particles are then analyzed for type and concentration. 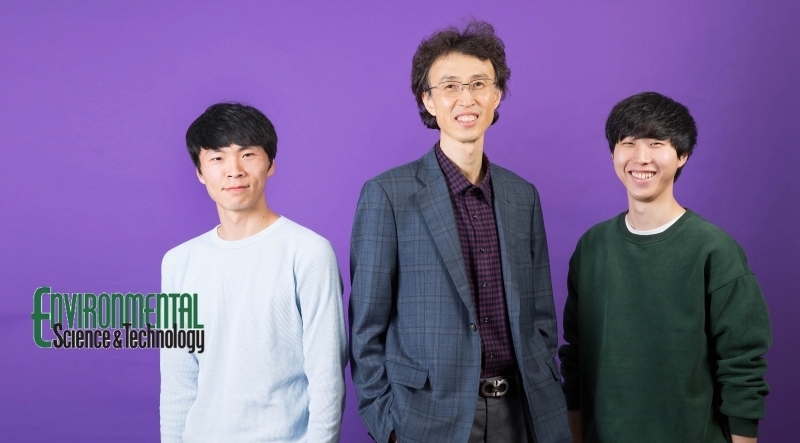 The concentrator developed by Professor Jang Jae-seong’s team is pulled by electric force, so even particles smaller than 0.1 ㎛ have high electric mobility and can be collected efficiently. Also, since the collection rate is low, the impact of the virus particles on the solution can be reduced. This increases the concentration of active viruses and is advantageous for further analysis. Professor Jang notes, “In addition to medical safety such as avian influenza, swine flu, mers and foot-and-mouth disease, it can be applied in various fields,” he said. “In the future, “He added. Seongkyeol Hong, Jyoti Bhardwaj, Chang-Ho Han, and Jaesung Jang, “Gentle Sampling of Submicrometer Airborne Virus Particles using a Personal Electrostatic Particle Concentrator,” Environmental Science & Technology (2016).